Match your favourite sushi to win. 14 Prizes available, find hidden soy sauce and wasabi for a fiery instant prize. Quick and easy to play with 16 prizes available and 9 ways to win. Set in the 18th Century, release the kraken on unsuspecting pirates. 10 prizes available and 3 unique ways to win. 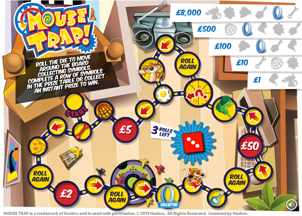 Roll your dice to navigate the mouse around the board, collecting prize symbols for your chance to win up to £8,000! 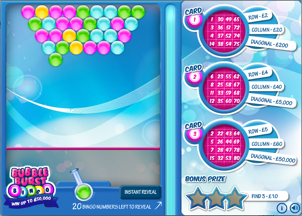 A first for the National Lottery offering players an element of skill in this classic game of matching and popping bubbles to win! 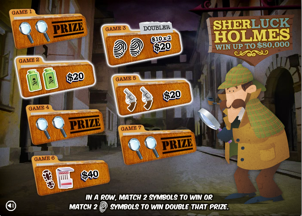 We love character based games here at SidePlay, and you don't get much more iconic than Sherlock Holmes! Our Instant Win Game content represents the very pinnacle of what is possible in this genre, producing exceptional results. Whether you are targetting mobile or desktop players our muti-format content performs seamlessly across all devices. A fact that isn’t very surprising considering our team have produced over 160 of the most played Instant Win Games titles on the internet in the last ten years. Make your choice and clear corresponding cards from the table. 12 main prizes to win, find the joker for an instant bonus payout. SidePlay Entertainment is a Jersey based game development studio. We build highly sophisticated and innovative games for global online lottery and gaming customers. We’re the world’s leading game studio working in this niche and pride ourselves on designing and developing games that are head and shoulders above anything else available in the industry. As part of our growth plan, which is designed to keep pace with huge customer demand, we are looking for an experienced creative lead to manage our team of game artists and take ownership of the studio’s creative output. The successful candidate will work closely with our team to conceptualise, create and oversee the production of game concepts and inspire game artists, programmers, producers and our customers. They will be a key member of the team, shaping the style, quality and innovation of our output. Ensuring the quality of studio output is of the very highest standard, including gameplay, artwork, animation, music and audio assets. The right candidate will be able to demonstrate a combination of experience, artistic vision and ability to inspire others. Experience at a senior level of game development would be a distinct advantage however, a background in art direction, media or film production, animation or design would be of interest to us. Are you a designer, illustrator and/or an animator? 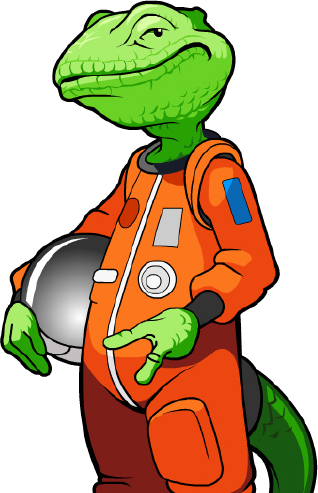 Do you while away the hours dreaming up characters and abstract worlds and would love the prospect of seeing them bought to life in an online game by a specialist team of developers? Yes? Then this could be the perfect job for you. We create Instant Win games for the gambling and lottery industry servicing some of the world’s biggest and best operators. Our industry leading content is played on desktop and mobile devices by millions of players across the UK, Europe and the US. The successful applicant will work full-time alongside a team of artists and developers, helping to come up with unique game ideas with the ultimate responsibility for the overall design of our games. If you are passionate about design and feel you have a lot to offer this niche area of gaming we’d love to hear from you. We offer competitive rates of pay, flexible working hours and a centrally located studio full of the latest hardware and young, creative people. Send a copy of your CV to Lee Bosio, Director on lee@sideplay.com or call +44 1534 491094 for more information about this role. We’re looking for game developers at all levels to join our growing team of instant win game producers. The successful applicant will join our experienced team, building exciting, engaging and elegant games. Whether you're an experienced game developer or a budding beginner we'd like to talk to you about joining our growing team. 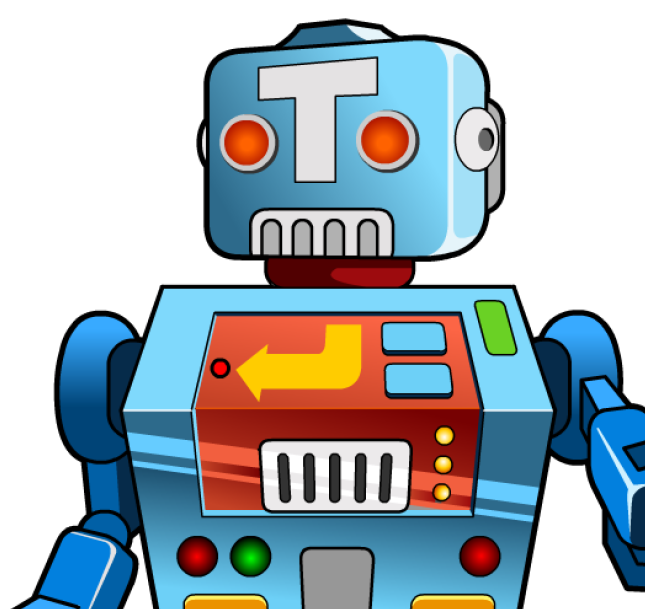 The role involves some challenging work designing and developing HTML5 game content for the lottery and gaming industry. Applicants should be able to demonstrate a strong understanding of Object Orientated Programming. An understanding of the Phaser and/or Pixi game framework would also be a positive benefit, along with a commercial understanding of game design and a creative mind. Maintain an up-to-date working knowledge of all appropriate existing technologies as well as new techniques and tech. You should also be a confident and accomplished communicator with a commercial awareness and fit in with our highly active and integrated team and work processes. Please submit your CV to jobs@sideplay.com. Sideplay Entertainment is an online game development studio based in Jersey. We produce industry leading game content to the lottery and gaming sector across the world. We are looking for a game test assistant to join our testing team. This is an exciting opportunity to begin a career in the games business. Whilst we would prefer to find a candidate with some software testing experience, this is a trainee role and we will provide all the specific training you will need. You should be able to demonstrate a logical approach to all tasks, exceptional attention to detail and good organisational skills. You will also require a great deal of patience and be capable of extended periods of continued concentration. It would advantageous if you already possess a basic understanding of game or software development, coding or have previously worked in a software related environment.